It is normal to take the idea of money for granted or assume that today’s prevalent forms of currency are the most logical and sophisticated forms of it that have ever existed. People rarely imagine that even small communities would be better off if a multitude of non-national currencies existed simultaneously. And they’re often surprised to learn that countless societies had multi-currency systems throughout history. Like fish in water, it can be easy to take our current monetary system for granted. Yet, the global monetary system neither emerged logically and nor is it the most efficient or enlightened in its design. In fact, this system was not designed at all. What exists today is nothing more than a messy catalogue of power plays that are mostly executed by sovereign countries and the lending classes – and they’re now too historically, psychologically and institutionally ingrained to reverse. NO BETTER OPTION Today, the majority of the world’s people only come into contact with national fiat money – e.g. Sri Lankan Rupees, US Dollars, euros and so on. These forms of money are not technically backed by precious metals like gold. In fact, they’re backed by law – and what stands behind the law is the threat of force. Legal tender laws oblige people to accept national fiat currencies for debt repayment and one must acquire these national currencies to pay taxes. Without accepting national currency, one would be violating the law and have to contend with the threat of force. This is one reason why people in countries like Venezuela continue to use the national currency even in the face of enormous inflation. TRUST IN CURRENCY In a previous issue of LMD, I discussed a fascinating example where a community continued to use money that had been demonetised by a central issuing authority. This was in Iraq during the 1990s when ex-president Saddam Hussein prevented the Kurdish population from exchanging their notes before they lost central bank support. It was similar to India’s recent demonetisation episode but focussed on attacking an ethnic group rather than the informal sector. Like many societies in times of financial crises, the Kurds understood that if everyone with whom you do business believes that a certain type of money is valuable, it doesn’t matter if a central authority extends any backing to that form of money or not. The Kurds knew that if they accepted a high quality printed note one day, they’d be able to use it the next. Not only did they continue to use these demonetised notes (known as ‘Swiss Dinars’) but eventually saw the currency appreciate against the dinar that was officially backed by the central bank. SOCIAL AGREEMENT This occurred because money is a social agreement in which the value of one unit is socially determined. In a sense, legal tender laws imbibe a national currency with this social element of trust because of the threat of force. When a central power threatens force against an entire community, it appropriates the element of trust into the national currency as it becomes understood that most people will opt to use the national currency rather than being at the receiving end of violence. In his book titled ‘Debt: The First 5000 Years,’ anthropologist David Graeber delves into countless examples of societies in which multi-currency systems existed that include the nuances of types of money and the social agreements that underpinned them. Not all forms of money are transactional – some exist solely for the purpose of displaying one’s social standing. However, for forms of money that are transactional, money that represents future claims on wealth (credit or debt money) requires more social trust than those forms that have present value (commodity money). In fact, the less trust between parties to an exchange, the closer they come to a one-to-one barter system. At the other end of the trust spectrum would be gift exchanges and exchanges for which debts are not precisely accounted – although there exists some sort of reciprocal expectation in the future. This is a significant simplification of course, and Graeber’s book addresses this area in detail. CRYPTOCURRENCY These days, the element of trust in relation to currency is being brought up with exceeding frequency because of cryptocurrencies like Ethereum and Bitcoin (now Bitcoin Classic and Bitcoin Cash). 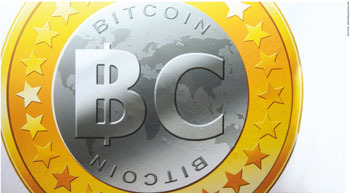 Cryptocurrency is often espoused by self-assured technologists as the end-all future of money. But historians, monetary economists and anthropologists are hesitant about this as they’re cognisant of human behaviour. This has much to do with the ‘trustless’ (meaning that you don’t need to trust a third party) nature of cryptocurrencies. Since the block chains that cryptocurrencies operate on are permanent and immutable, they’re praised as offering trustless exchange between parties. It may appear to some as if this is a technical solution to the societal need for trust. But looking back on history, it’s apparent that especially within small or mid-size groups of people, societies that were sufficiently socially cohesive to function always required some form of trust based systems of exchange; not trustless ones.